Sure, October is a month for people to enjoy the changing of the leaves, the ubiquitous pumpkin flavorings, and, of course, commemorating all things spooky! 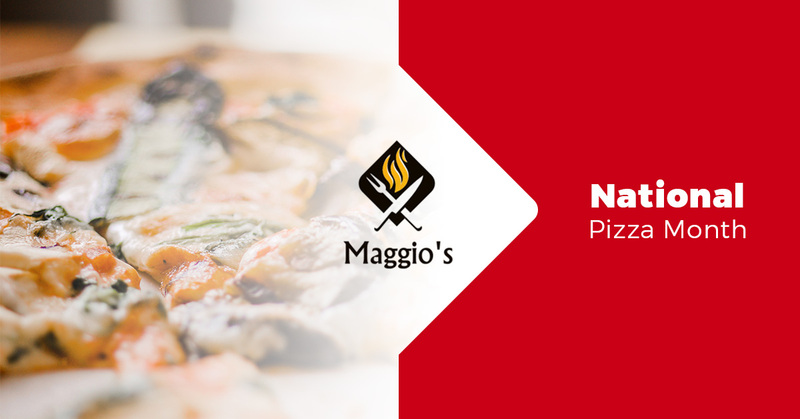 But at Maggio’s Italiano, we celebrate for another reason—October is national pizza month! We can’t think of a better way to honor the best month of the year and everyone’s favorite food than to eat as much pizza as possible! Don’t worry, if anyone appears judgemental, just remind them that it’s pizza month and offer them a slice! So, aside from placing your pizza delivery from Maggio’s in Alexandria as soon as possible, we felt like providing you with some little-known facts about pizza to impress your friends during this glorious month of deliciousness! Let’s get started, shall we? We Eat How Many Slices of Pizza Per Second? – It’s been estimated that Americans eat nearly 350 slices per second! To further explain just how much pizza that truly is, that equates to 21,000 slices a minute, 1,260,000 an hour, and 30,240,000 slices on any given day. Mama mia! The Most Popular Day of Pizza – When is the best time to eat pizza? Well, any time of course, but combine biting into a piping hot, cheesy slice of goodness while watching the biggest sports event in the country? Forget about it! 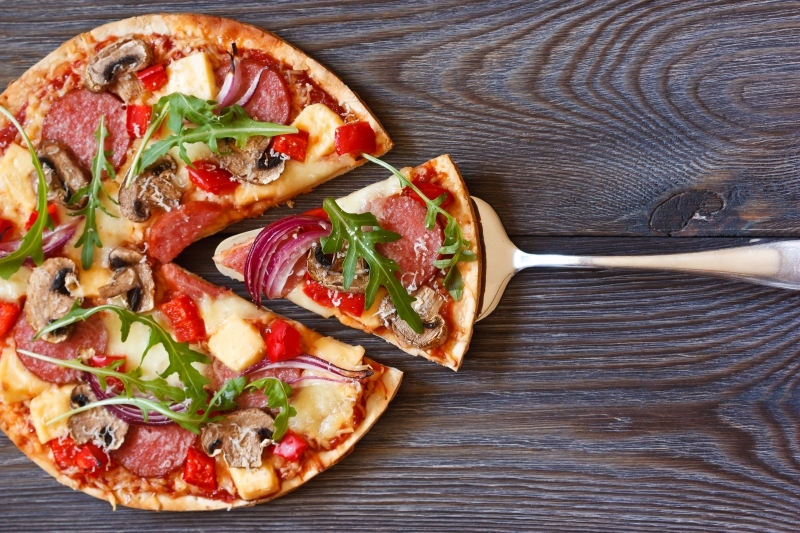 During Super Bowl Sunday, Americans buy roughly 12.5 million pizzas during the game! A Lot of Pep for Pepperoni – Hands down the preferred topping in America, we consume just shy of 252 million pounds of pepperoni each year. Cheese, Cheese, and More Cheese! – Cheese has always been beloved, whether as a delicacy or in copious amounts, but since 1995, cheese consumption has nearly doubled. The root cause? Pizza of course! That’s A Lot of Dough! – If you’ve recently won the lottery and looking to try the most expensive pizza in the world, you can have it for just $12,000! That’s right, for a little over ten grand, you can bite into a slice consisting of Norwegian lobster, three different types of caviar, aged dough, Cilento, and more extravagant ingredients. Or, you can just order a delicious pie from Maggio’s and save $11,990. Taste Buds Differ – While some people may cringe over pineapple on pizza, it’s nothing compared to the most common toppings in Japan. The Japanese are known to coat their slices with mayonnaise, squid, and other unique toppings that Americans would never even consider as something to put atop their pizza. World’s Largest Circular Pizza – According to the Guinness Book of World Records, the largest round pizza on record weighed a whopping 51,257 pounds and had a diameter of 131 feet. It was named “Ottavia” and, fittingly, was created in Italy. It was also made of 100% gluten-free dough. Pizza really knows no bounds and has no limitations, even in space! In 2001, a six-inch pizza was the first ever to be delivered in space to Russian cosmonaut Yuri Usachov (curious of how much he tipped). To further pizza’s exploration of the cosmos, NASA is also working on a 3D printer that can make a pizza, with a variety of choices on toppings and sauces, all while in orbit! We don’t want you to worry, you don’t have to jump on a spaceship just to get your fix of pizza, you just have to come on by Maggio’s Italiano in Alexandria, where we’ll provide you tastes that are out-of-this-world! We hope you’ve been celebrating national pizza month, and if you didn’t know about it, then now is your time to start gorging yourself. Either come to visit our brick-and-mortar location, or simply order online now and celebrate in the comfort of your own home. Happy pizza eating, friends!